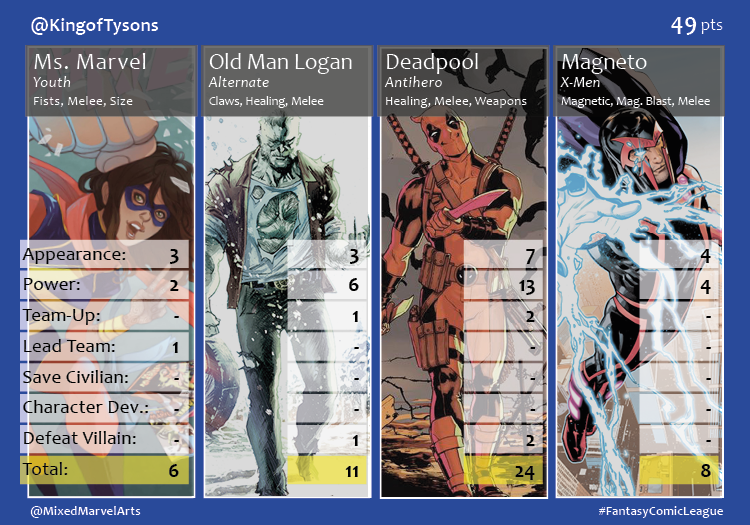 The Deadpool Fantasy Deadpool Comic Deadpool League continued in the penultimate contest of the year as the Merc with the Mouth celebrated another victory as the league’s top hero! 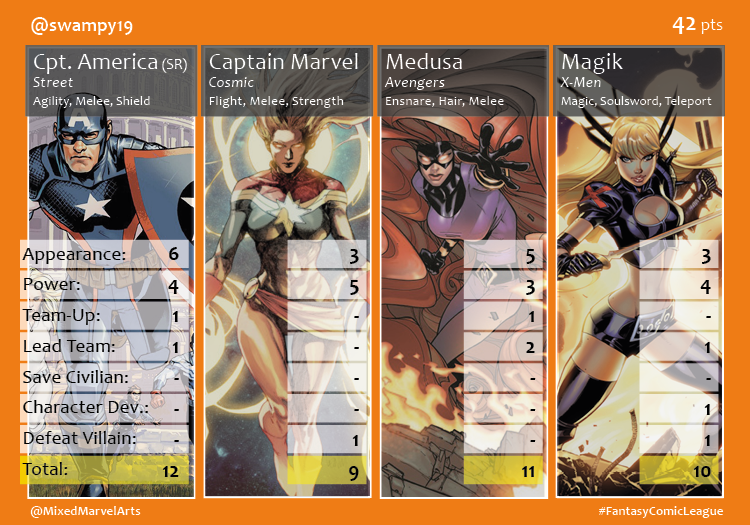 Brian (49) used Deadpool to overcome a sub par outing from Ms. Marvel, his mainstay hero, and won the month of November. Shaun (43) benefited once more from his dubious theories and questionable draft picks. 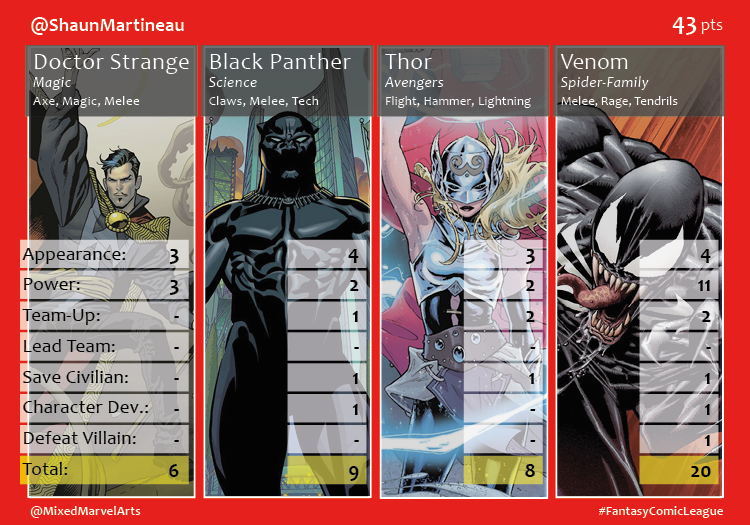 He secured a second place finish thanks to an impressive, 20-point league debut by the Venom symbiote. 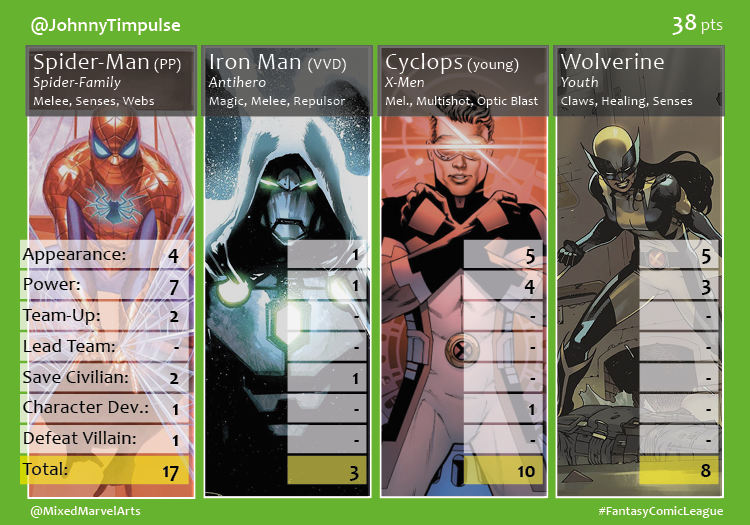 The events and characters of Death of X and Inhumans vs. X-Men provided Swampy (42 points) with a well-rounded, third-place team. 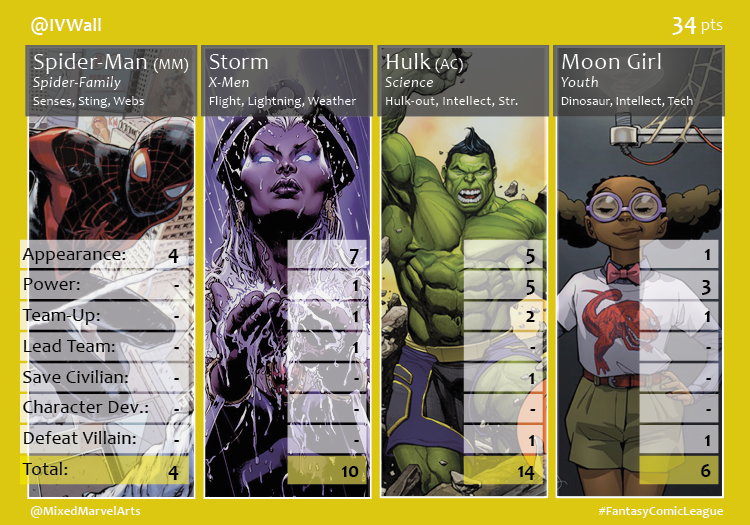 The consistently reliable Peter Parker carried Johnny (38) for most of the month, but relying on Doom’s heroic turn limited Johnny to a fourth place finish. Sceritz’ (34) top two heroes experienced a power outage. Miles and Storm made 11 appearances between the two of them but only scored 14 total points. Matt (29) could not recover from the penalties of a first place finish in the previous month. 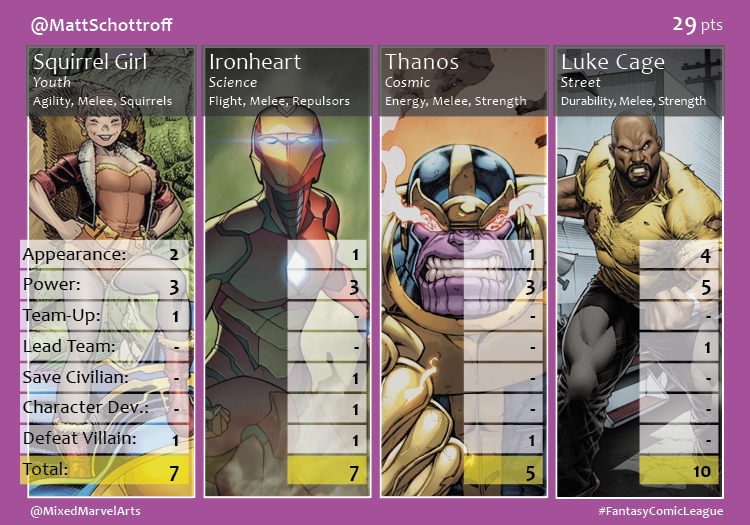 He attempted to mimic Shaun’s abstract tactics by drafting Thanos, but his 5 points hardly had an effect on his team’s overall standing. There is one month to go in the 2016 season and Shaun is poised to coast to a victory. Now is the time to join up for the 2017 seasons. Please contact us through this site or our social media accounts to join!